的框架中擺脫枷鎖，兩種衝突該如何融合 ? 是轉變還是改造 ? 是 消失還是保存 ? Heterogeneous Taipei 圖文／Jr-Gang Chi ／ Principal, ar–ch Studio Presently, large-scale battles over existing architecture caused by deteriorating living conditions in Taipei, feel like they may explode anytime soon. In recent years, problems concerning the enormous amount of old apartments in Taipei built around 1960 and thereafter, star ted to sur face. Urban renewal therefore became a pressing issue. However, conflicts of interests happened during the redevelopment, inevitably, such as disputes over the ownership between developers and existing residents, arguments about the continuity of the urban fabric, which was unfortunately destroyed by new constructions, and clashes among the overly expanding commercial activities in the residential areas. These clamors never died down. Meanwhile, the purchase price for the four/five-story (post 1960 mid- and low-rise) apartments that are in urgent need of renovation have soared, due to the law of incentive floor area ratio (FAR preference) for renewal. To be expected, for financial incentives, developers instigated large-scale demolitions, followe d by new cons truc tions, which gradually transform the idiosyncratic Taipei mid- and lowrise apartments into 15-floor gated high-rise communities. Should this developer-controlled mechanism continue to prevail, life in the communal collective housing of four to five-story buildings will soon collapse. The local alley culture formed by small shops, café, and restaurants will also disappear. 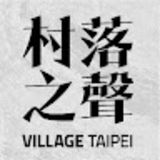 It is in such crises that, two years ago, the Institute of Urban Design and Taipei City Government's Urban Regeneration Office invited a group of young architects to participate in the project, "Post 60 mid/low-rise apartment renovation," with the aim of reshaping and reviving the Taipei cit y. Among the many old apartments whose tenants wished for renovation, the committee selected 16 sites, which presented a wide range of housing issues with the greatest possibilities in renovation. The goal is to create suitable living styles through applicable architecture solution, a perspective of living in Taipei. Accordingly, the section of "design ideas" features projects proposed by this group of young architects from 2010 to 2012. The following is an outline of the framework of the book. wall details, and improving lighting and ventilation through additional b uil din g o p enin gs , w ill inevitably change the f a c a d e s . T h ere fo re, i t is an alternative approach to those projec ts that preserve the appearances of old buildings but resulting in the shif ts of functions and users. arrangements. To Venturi, the exterior style of a building was not necessarily relating to the interior functions. However, if we see Taipei as a combination of myriad architectural artifacts, we should also examine those objects (smaller than architectural scales, such as a balcony) and their relationships to the urban context, whether they are inside or outside a building. Perspective of Living in Taipei What constitute our perspective of living in Taipei? This book raises many questions though not necessarily with answers to them. In the sixteen design proposals we found many common issues of living in Taipei, such as how people define the boundaries of their homes, and how people see the inside and outside of a building. There are also issues concerning architectural inf lation, the need for double-skin facades, programs of mixeduse communities and consequential conflicts. 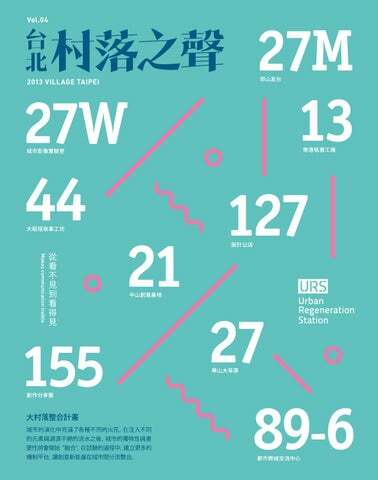 All these factors shaped the current urban patterns of 常見中低層混合機能一例 Taipei and are still shaping the city's future. Reconfiguring the City Because many memories and precious local culture have been contained in the old communities, it is necessary to preserve parts of the past while implanting new things. Restoring old buildings to what they had been or remodeling them without altering their scales, or demolishing them to construct denser communities, should all be options. The final decisions should be made according to what is the best for the communities and for the buildings. If we are given this freedom and reach an agreement, we will be able to create a new mechanism for urban renewal. This new mechanism will need new operation methods in the real estate market, banking and capital flows, and this is only one of the many issues we have to think about. But once it is agreed, new spaces with new values of our city will be generated. Taipei is different from other industry/commerce-oriented cities, because living is the core function of it. We can even describe Taipei as a city for convenient living. Consequently, the impact of the mid/low-rise housing renovation on lifestyle and culture is noteworthy. Finally, we hope to create dialogues with other cities through this publication, and promote smallscale apartment renovations with the final aim of renewing the entire city. Grandville Island Market and beautiful Burrard Inlet in Downtown Vancouver While many things that the city could offer were impeccable, some new immigrants found the overall lifestyle rather dull (unless they can afford living in the downtown area). The dullness increased as one moved away from the city centre, into the suburbs, where cars and big box superstores dominated the city and zoning was clear. Almost by definition can we say that suburbs are unquestionably suitable for living. Fresh air, bigger space, enough schools, low crime rate, and affordable housing are all desired, but these are not the only criteria of being an excellent livable environment. The common compliant of suburbs is the lack of sense of place and variety. The level of mixed-use in suburbs is low - your house, your work and your recreations are most likely spread across dif ferent places. little multi-use development patterns emb e dde d b e c aus e planner s pre cieve d subur bs as absolutely uncrowded residential areas to promote ideal living standards (von Hoffman, 2009). As such, communities were characterised by extreme dispersion where homes are zoned away from commercial and public functions by unwalkable distances (Morris, 2005). Former city dwellers from buzzing Asian capitals might have to endure a period of feeling alienated and disoriented before starting to appreciate the peace and quiet in the suburbs of western cities. Previously they could have breakfasted downstairs and bought groceries nearby, but now this simple pleasure in life can easily be a 15 minutes drive. Suburban type of pure residential area in British Columbia, Canada. The nearest plaza mall is about 15-30 minutes walk away; the nearest skytrain (metro system) station is about 20-30 minutes drive away. Suburban residents spent a lot of times in the malls. Be it strip malls, plaza malls, or mega malls, the essential occupier in the neighborhood mall includes at least a coffee/doughnut shop, a clinic, a pet shop, a supermarket, a bank /ATM, a barber/nail shop and an insurance broker - which covers most of your requirements for your livelihood. These malls were well thought through, certainly not inconvenient. One could imagine that malls are like mini cities. And indeed the aspiration of some malls is reflected in their names. A good example would be‘Metro Town’and its addition‘Metropolis’ in Burnaby, British Columbia, Canada. big box sellers superstores like Wal-Mart and Tesco, which in many cases, reduce choices and pose a deadly threat to the health of the local economies, communit y and neighborhood structure. Their‘low price’gradually forces out the independent shops and takes over the street life and neighborhood patterns. the society. Malls could never be like a true city where you encounter the same level of homeless people, commuters, tourist s/foreigners (unless the mall it self is a tourist attraction), people who support independent businesses, people who generally dislike shopping and other social outcasts and minorities. In a way, some of the shopping malls behave like gated communities with private security and surveillance who filter / force out the unwelcomed. It’s becoming clear that our public realm is now divided into‘private public space’and‘public public space’. According to Charles Landr y (20 06), the former has a commercial edge as it is geared to consuming, which allows for some excitement, but is essentially barren. On the other hand, when the latter has done well, it can exude public values like conviviality, the ability to hang around or the ability to reflect. If the social interface is limited in the mall environment, and if the our suburban lifestyle revolves around these typical malls, should we reckon our city as a suitable place of living? Another problem in suburbs - space dominated by cars and parking. The image is showing extensive parking lot in Guildford Mall in Surrey, British Columbia. Beyond Nostalgia • It is a reminder of forgotten values: The founder of Art Yard, Mr. Yi- Cheng Jou, gave a speech on the topic of Twatiutia (a historical neighborhood in Taipei) in the 1920s and its impacts on the present. As an owner of shops in historical spaces in Twatiutia, he defined Twatiutia as not only being the name of the place, but as a represent ative of an era. It is not only an era in which the entrepreneurship of the place made great contribution to the early economic development in Taiwan, it also, in addition to stimulating entrepreneurship, people's creativit y was triggered as a reac tion to the changes. Old buildings and historical space can imply more than its architectural values. For business owners who choose to preserve or recreate‘the lost time’in an old house, the renovation is beyond the purpose of the business itself.Values are in the historical context of our present life, manifested through our interaction with them. • It's a quest for identity: Old houses and nostalgic spaces are agents for our collective memory. Designated heritage sites serve the same purpose of helping us map the past onto the present. Notwithstanding, old houses are more approachable when comparing to the designated heritage sites with specific significances or purposes. In other words, a place also needs its identity to keep distinctive and competitive. Old buildings accumulate traces of human activities in the place and it is through this that the place develops its own uniqueness. When referring to such uniqueness, people associate with such place. This uniqueness is the identity and the power of a place that can never be replaced and reproduced. This identity of a place can be more powerful than any political claim. • It's where innovation is based: quite a large percentage of the young entrepreneurs and space owners are engaging in the fields of art, creativity, and design. A lot of old spaces are renovated as galleries, ar t studios, craf ts shops, or designers'shops. New ideas derived f ro m t h e o l d c a n b e more af fec tive and everlasting when p e ople can relate to their own memory and experience. For people engaging in the fields of art, creativity, and design; building the association with consumers or audience is critical. Inspirations from traditions and historical environment are the seeds for innovation. Old house preser vation or renovation may convey the values that are worth to be remembered again. It implies the socio-economic changes and the formation of a place's identit y. Last but not the least , it is where innovation originates and what gives the profundity to the new. Behind the Romance The real business is always not as romantic as the illusion created in the nostalgic space. Mr. Jerry Yen, the CEO of COMPOBAG (a design and art branding company) and the co-founder of URS 155 (an experimental public art space at a historic house from the Chin Dynasty in Twatiutia) has shared his opinions in a meeting about his experience reusing the historic house as a public art space on Dihua Street as one of the location of the Urban Regeneration Stations . "This project has exceeded our estimation in terms of capital and finance. The space must remain non-profit and free for charge to the public while the operational team needs to cover the entire cost of restoration and maintenance. The restoration and maintenance can be endless and far more complicated than dealing with modern buildings." Among All Users Though reusing old houses or refurbishing old neighborhood could be beneficial for the local economy, enterprises, tourists, or governments; the negative impacts must not be neglected. Business activities, crowds, or new neighbors will affect the balance of the original lifestyle in the neighborhood as well as the environment. All users of the place have equal responsibility in reducing negative impacts to assure the sustainability of the localeso as to ensure that more people can enjoy the benefits of it. Solo Singer Inn (a renovated old small-size hotel in Taipei), has made one of its business core values, paying respect to the place’s historical context and original lifestyle, and as such the management must make a decision on which activities to host a priority for the hotel. Assuring the balance among all users will help to assure the quality and values of the place shared by everyone. Old house renovation and the historical environment are not just about nostalgia and business. They are precious for our civilization and the future generation. The sustainability requires the care and awareness from all stakeholders and consumers. forms of "business product, educational and innovative intellectual products and services that can be exported for high value return, or simply as productive asset," or Florida would simply put it this way: "an economy that is powered by creativity." Florida firmly believes that creativity "has become the decisive source of competitive advantage." Creative Class has doubled in the past two decades (see figure below), but has not mobilized into a critical mass that is influential enough to affect the economy. In addition to the percentage of Creative Class in the overall workforce, I would like to examine the urban infrastructure for entrepreneurs in Taipei and hope to generate some thoughts in discussing whether Taipei has the right settings to attract talented and creative people. My research on entrepreneurial incubators and co-working spaces has indicated that Taiwanese government has made attempts to follow the footsteps of foreign cases by creating similar clusters in the urban context. A wide range of government subsidized incubators and creative parks/zones, privately invested incubators spaces and co-working spaces have sprouted all over Taipei in recent years. This year, a very specific group of Creative Class, the makers, have also made their move in Taipei, as the Fablab Taipei, FabCafe and Makerbar emerged to re-invent new ways of working and collaboration. These creative parks/zones, incubators, coworking spaces and maker’s spaces seems to be providing a good foundation for Taipei to nurture Creative Economy. But, what is still missing? Florida argues that one of the key quality of a Creative City is diversity, meaning an open and sharing environment that allows creative class to be more productive. I would also add to Florida's argument that multi-disciplinary collaborations is also part of the creative and productive process. Based on my observations of the Creative Parks/Zones and incubator spaces (usually for tech startups) throughout Taipei, I would argue that there lacks a culture of‘sharing’in Asian cultures. Perhaps, there needs to be more open and shared spaces between individual entities in those creative spaces to help fostering the culture of "sharing". There needs much more open dialogues in between entities to increase opportunities to exchange ideas and informations. Dialogues can happen formally in organized events or simply informally in kitchen or lounge over a cup of coffee. Physical features of spaces can be easily replicated but not the culture of "sharing". However, I see the emergence of the maker's spaces as an opportunity to demonstrate a different ambiance for coworking space. The current incubator spaces receive many critiques on being too enclosed and partitioned, almost like a set up for conventional classrooms. On the other hand, because of the immobility of machines and along with the strategic merging with sociable programs (cafe, bar, gallery and perhaps many other more possibilities), the makers spaces potentially allow open dialogues and increase chances of collaborations. Although these potentials are yet to be observed over time, but I rather await with great optimism. 創造城市專屬的 B 計畫 想像，將城市的角色由消費者轉換為生產者，提供城市中的住 家、工業區一些生產的操作方法呢 ? 在少子化現象下，城市許多 小學招生人數下降的現像，未來城市裡將會多出閒置的學校空 間，加以城市小學的區位比鄰社區，地理位置有足夠的條件來 提供作為城市的緩衝區塊，調節城市不足之處。我們是否能善 用這些閒置空間，創造城市森林綠洲、城市農場、種子銀行、社 區發電與儲水設備等場所，從社區出發來形塑城市的一套 B 計 畫，提升城市的韌性與恢復力呢 ? It is said that fengshui has stric t requirements on the positioning of cities. The central axis is supposed to run from north to south, with its north end pointing towards a mountain that runs from east to west and acts as the guardian of the city. A winding river around the city is said to be an auspicious feature. Even the Forbidden City in Beijing was built according to these rules. And at first glance, the city of Taipei conforms almost exactly to these conditions as well, surrounded by winding rivers and bordered on the north by Yangmingshan. But something happened along the way, a kind of divorce. Taipei used to be all about the rivers surrounding it. Trade poured in from overseas as ships plied up and down the rivers, bringing goods and passengers to the riverfront districts of Dadaocheng and Wanhua. For hundreds of years, the pristine water supplied to the Taipei Basin by the rivers was the source of health, livelihood and transportation. But the focus of the city was destined to move inland as it expanded. The authorities built a walled administrative center halfway in between the two main business districts, and then the Japanese tore down the walls and built what is now the Presidential Office, facing away from the river, away from the old business districts, towards the eastern plains that were the subject of elaborate plans for the development the city. Nonetheless, ships from Taiwan still traveled all over the region under Japanese rule. the coast to Hualian. The riverside has been transformed into a place for bicycling and sports. Current construction methods, floodways, underground storm water reser voirs, etc., make the existence of primitive floodwalls unnecessary, and with Taiwan's population grow th slowing, there simply isn't a need to cover up the rivers with concrete and buildings; there is space for wetlands, for floodplains, there is space for the river. are almost always dealt with in the same fashion: Underthe-table practices with little of no enforcement. Thus, the farms and other river-related activities, became part of the unofficial mythology, like the rivers themselves. For decades, this was the state of things in Taipei. The old water front distric ts of Wanhua and Dadaocheng languished, falling into disrepair as the city’s focus moved further and further inland from the forgotten rivers. The old districts were now bordered not by the river but instead faced huge concrete walls that allowed no scent or sign of the river it concealed. Hidden rivers were not just easier to ignore, they were also much easier to pollute, and without any public impetus for reform, fac tories were free to continue dumping whatever chemicals they liked into the waters. The results of these pollutants entering the riverside farms and fishing, a world that didn’t officially exist, were likewise ignored. But that would only be the beginning. The par ticipation of the rivers in the existence of a city is an indicator of more than physical presence; rivers are the opposite of walls; they connect us to the rest of the world. Taipei tore down one wall but built many more, the most important of which were in the minds of its residents. It's high time those walls came down. 大稻埕故事工坊歷史展 URS44 你曾經好奇過，莊嚴優美的 URS44 大稻埕故事工坊以前是怎樣 的嗎 ? 故事工坊本身有什麼故事呢 ? 即日起，歡迎大朋友小朋友 齊來大稻埕故事工坊看看、聽聽屬於我們的故事喔 ! The Story of Life-Hello Green Life! 一個具有木材、打鐵特殊舊產業地景的雙連蓬萊町生活圈 ( 寧夏 歸綏街一帶 )，如何購過創作設計，進行綠生活的空間營造，讓 地區活化再生呢 ?